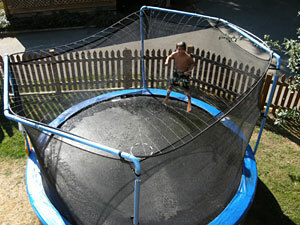 Up The Creek customers are welcome to use Coulter's trampoline when it is not in private use. No liability is accepted by UTC, and all Risks are assumed by the user. If you aren't big enough to climb in, you're too small! Coulter and Martin maintain the right to restrict use to anyone disobeying the above rules.